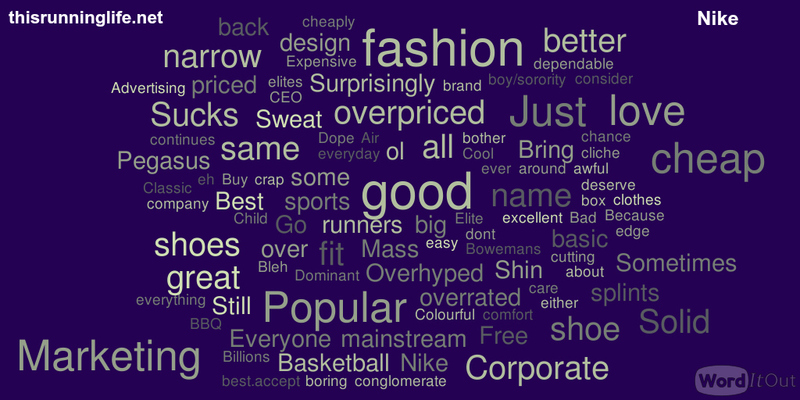 Few brands elicit responses such as the giant that is Nike. Whether the unabashed fan boy to the skeptical critic of seemingly unlimited marketing budgets, runners don’t hold back when it comes to this brand. Responses to Nike ran the spectrum from love to loathing. Remember the larger the word the more often that response appeared in the survey of almost 200 runners.